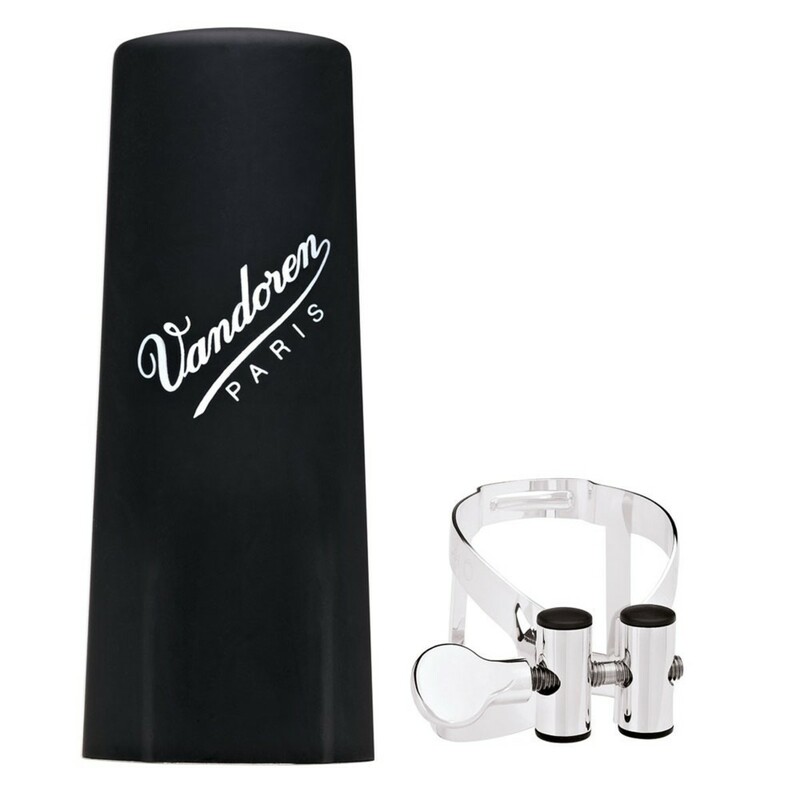 The Vandoren M/O Bass Clarinet Ligature consists of a lightweight construction with a screw system that provides a tight secure fit while allowing the reed to vibrate freely. This provides optimum vibration of the reed resulting in a clear response and crisp articulation. The silver plating helps provide a brighter edge to the overall sound. Vandoren M/O Series ligatures combine the lightweight construction of the legendary Masters Series ligature with the highly efficient tightening of the OPTIMUM Series ligature. This advanced ligature allows the reed to freely vibrate for crisp tonal articulation. M/O Series Clarinet Ligatures are available for Bb, Eb, alto, and bass clarinets in black, silver-plated, and pewter.